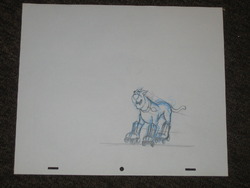 Great original animation art cel drawing of Scooby Doo on roller skates. Approx. 10x12inches with peg holes. 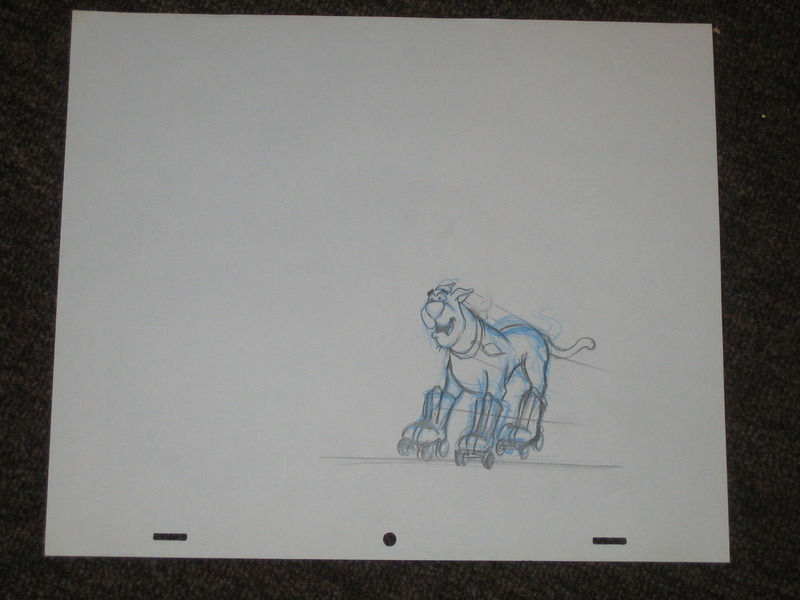 Both blue and black pencil to indicate movement. Purchased at auction 1999. Sold to Tafline Sullivan 11/8/11. Gifted to TJ Sullivan on December 8, 2011.